I was back. 2 years after a life-changing meal at L’Arpege (my first) in the winter of 2012, where I was served a marvellous parade of dishes (a perfectly executed salad, Cevennes onion gratin, vegetable ravioli, Harlequin Gardener with vegetable sausage, and a superb millefeuille) I returned to the minimalist dining room, with the triptych to Bacchus hanging over the dining room. It was as minimalist as I had remembered it, laminated wood, functional rather than luxurious chairs, and simple table arrangements. 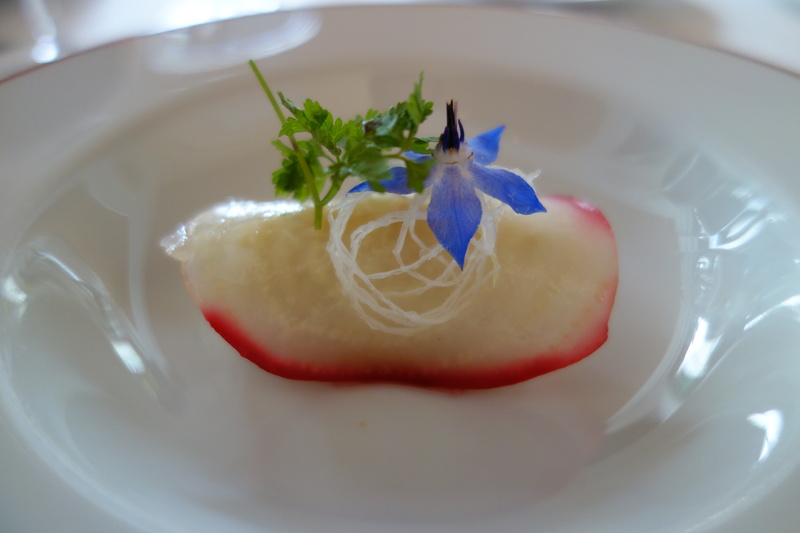 The colours, would come not from the decor, but the vegetal stars gracing our plates. And what colour! One of the pleasures of dining out, is that each great restaurant is unique in its own way. 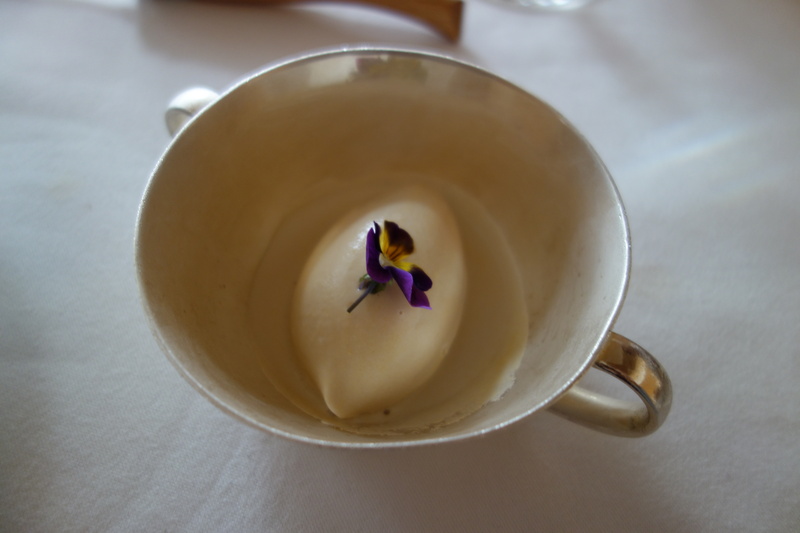 We had dined the previous week at The Fat Duck, where the greatness of the restaurant was in the sheer amount of thought that went into every little detail of the dish, from theoretical construction to the actual assembly and cooking of the dish. (see The Fat Duck Head Chef Jonny Lake talking about how they conceptualised the magnificent Lamb dish, to see what I am talking about). 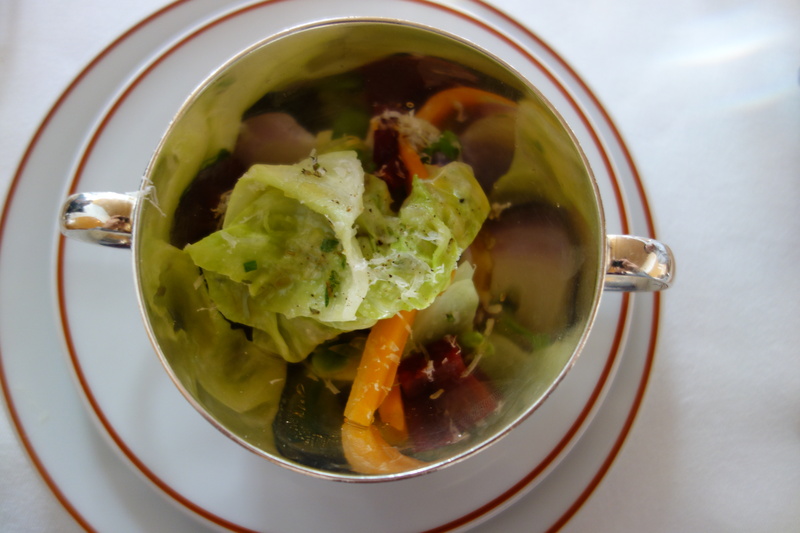 Alain Passard gives each of his dishes equal thought, tasting and refining his raw vegetable products from his farms before serving them. (See the graphic novella: In the Kitchen with Alain Passard) But where at The Fat Duck, portions are measured to scientific accuracy and dishes refined and re-refined in an R&D lab months before they go on the tasting menu, Passard’s improvisational cooking style draws from his love of music, and he is much more willing to let the testimony of his ingredients speak for themselves. 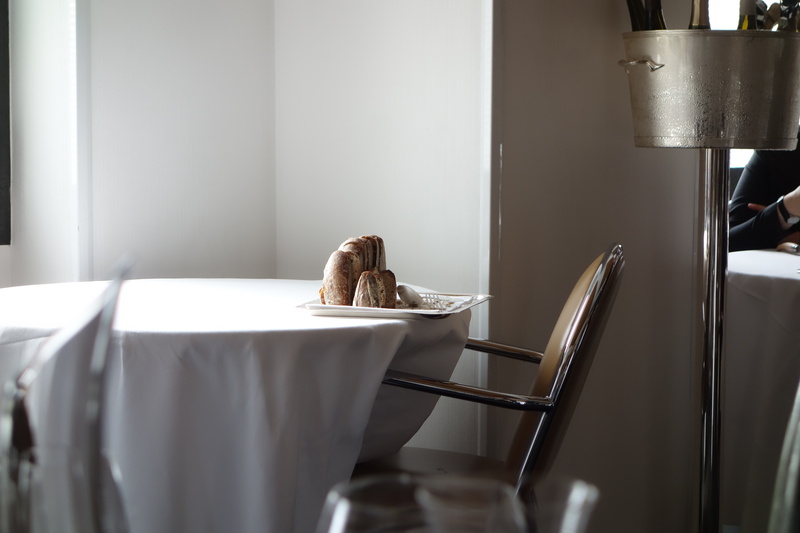 I had also dined at 1* Hedone in London the previous week, and though I found the ingredients impeccable, I found myself enjoying the minimalism at L’Arpege more than at Hedone. The two both prize the testimony of the ingredient, the voice of the ingredient above all else. 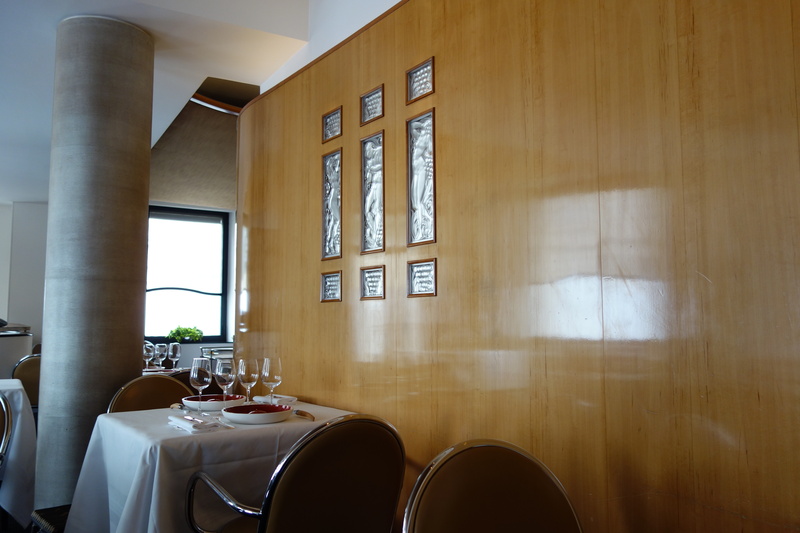 So why did I enjoy the minimalism at L’Arpege more? I can only think that it is an intellectual response to a great chef’s vision. 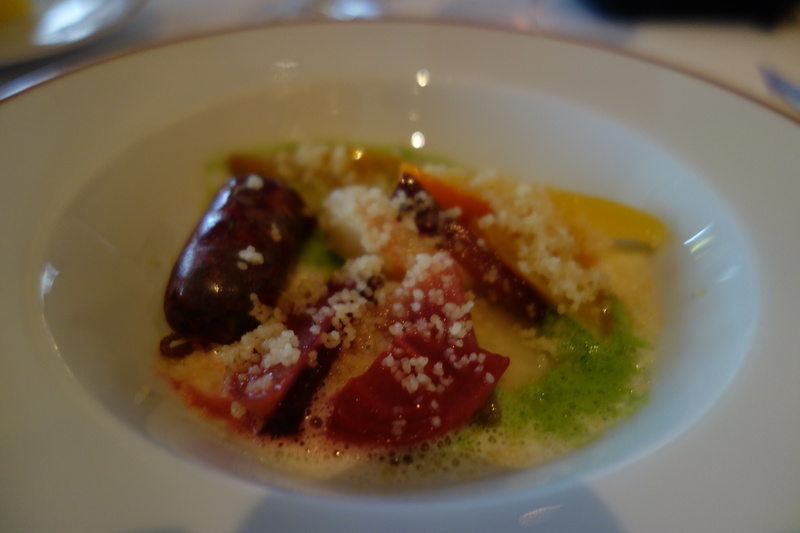 Passard’s vision of a vegetable cuisine, with vegetable sausages, top-class ravioli, the revaluation of beetroot in his sushi (improved over the winter version, which had an unnecessary dab of wasabi, now gone) – is compelling, above even a chef that demonstrates catholic knowledge over the provenance of a wide range of ingredients. Restriction of the option-space of ingredients to just vegetables, gives the chef that much more to do, to transform and subvert our expectations. And Passard is a great chef, one whose skills are well-suited to the task. 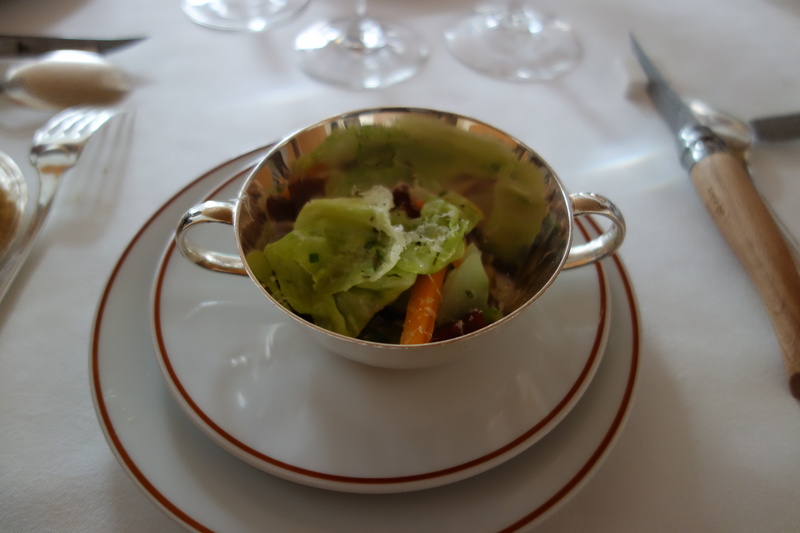 In the end though, it is a matter of taste whether one would better enjoy a first-rate meal of the stereotypical ingredients – amuse, vegetables, seafood, red meat, dessert – or if one would better enjoy a first-rate meal that up-ends and subverts those expectations. And yet L’Arpege is not perfect. Part of the reason I enjoyed it less than in winter two years ago: many of the tropes and gestures from my winter meal were repeated. 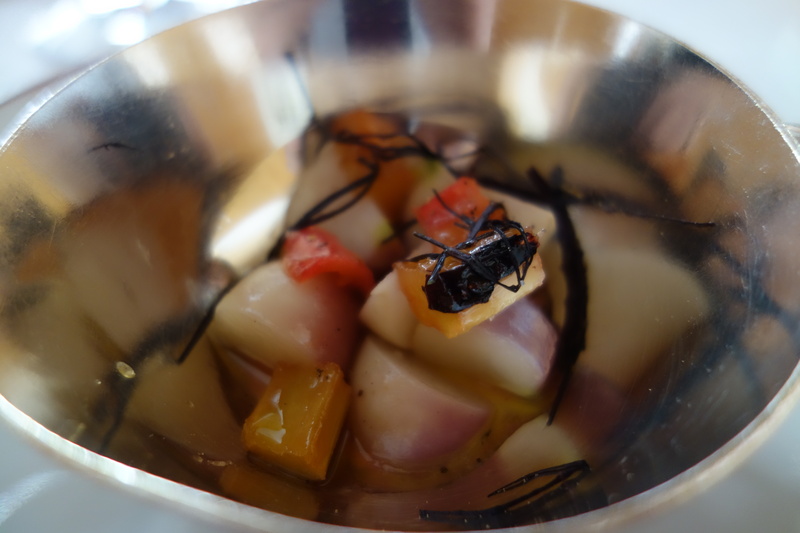 Beetroot sushi was repeated, as well as the veloute, and the ravioli, with the Harlequin gardener, roast chicken, millefeuille. 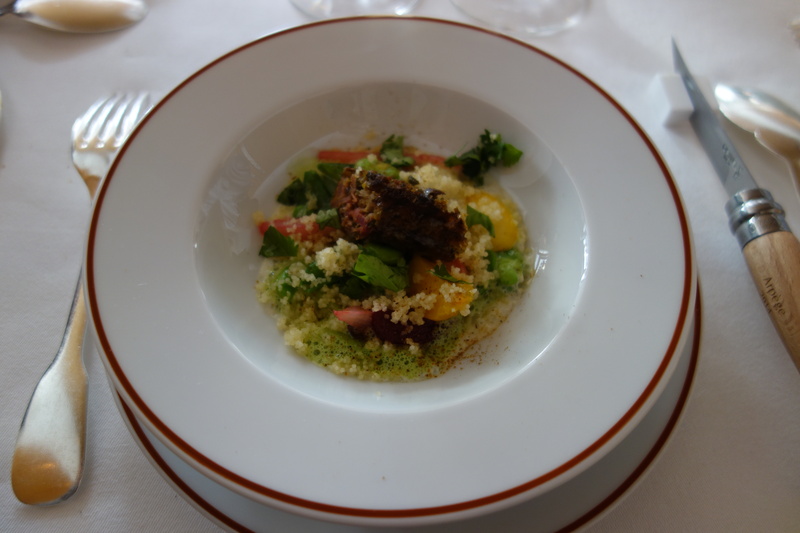 As it was only my second meal at L’Arpege, I had been hoping to try a broader range of Passard’s cooking. 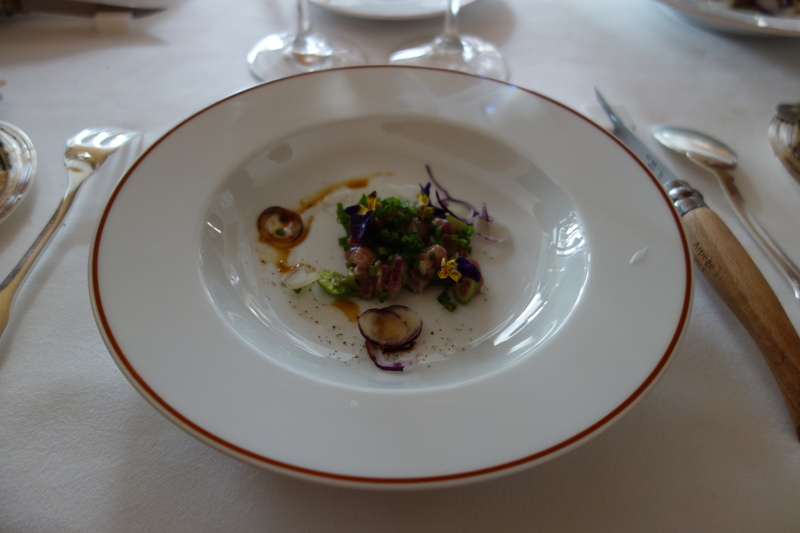 Perhaps I should have ordered the vegetable tasting option, or gone carte blanche, instead of the grand menu. 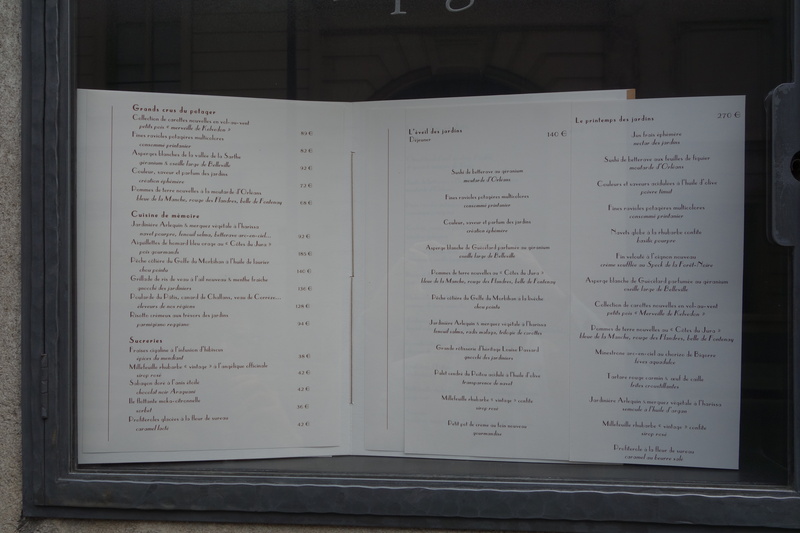 A second possible reason: I found the grand menu very similar (in that only one dish was completely changed – the blue lobster substituted for the potatoes) from the lunch tasting menu. For €200 Euros more (€140 vs €340), it left me feeling a bit short-changed. If there is a better way to ensure that lunch patrons don’t order your grand tasting menu at lunch, I’d like to hear it. 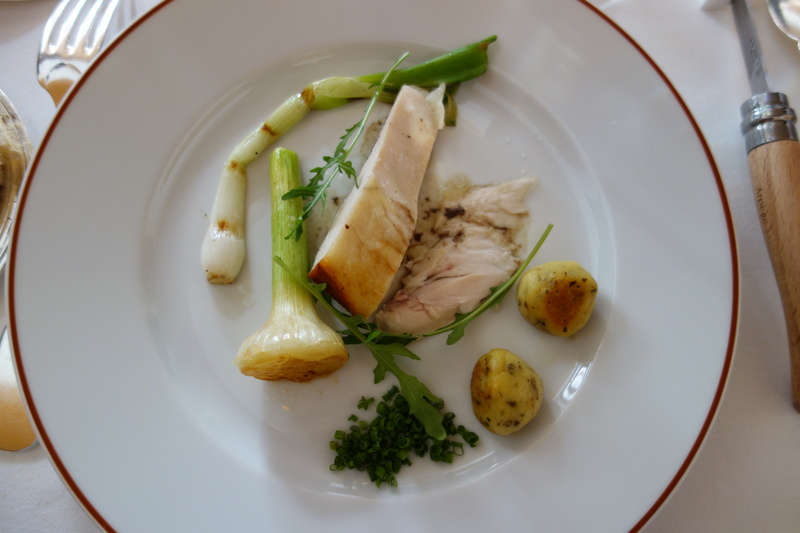 Perhaps that is the point – the grand menu being for tourists rather than locals, who know the ins-and-outs of navigating a meal at L’Arpege. Was it still a first-rate meal? Yes. Was it worth the money plonked down this time? I am on the fence on this one, for both the considerable repetition, and the feeling of €200 misspent. I have heard meals at L’Arpège being described as expensive gambles. 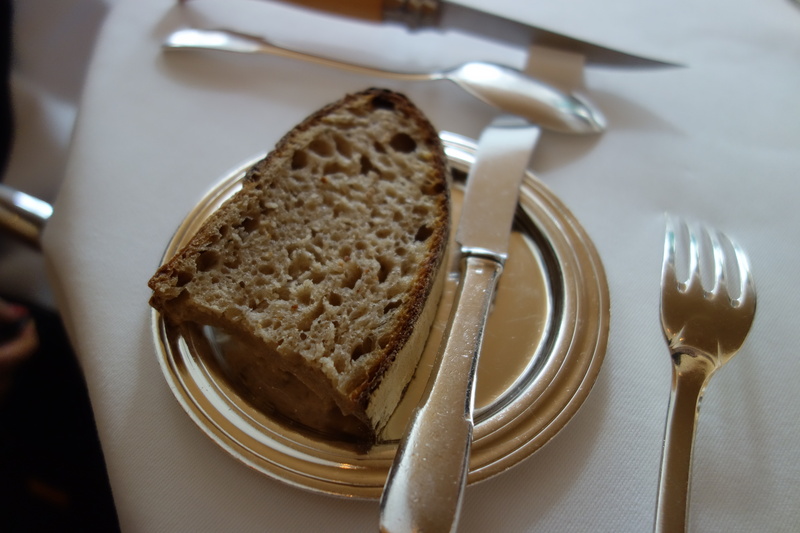 When a Passard meal comes off, it is truly magnificent, an eighth wonder of the world. When it doesn’t, it falls to earth with a resounding thud. 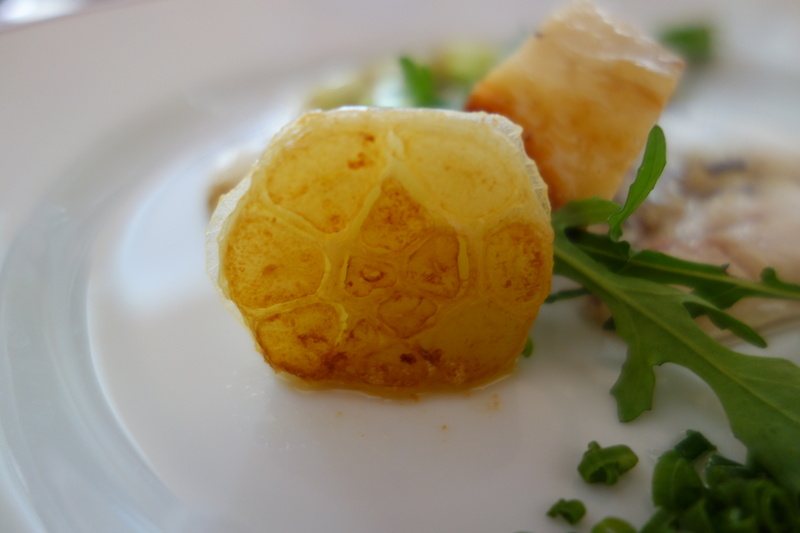 Among my friends who have had the fortune to dine at L’Arpege, I have noticed two contrasting reactions – no one sits on the fence – the first, if fortune smiles, being that one is a convert to Passard’s vision. The second, if ill-starred, is that one forswears off L’Arpege. Having had both experiences, I now understand both points of view. The arras is drawn, I now look forward to a third meal at L’Arpege with both the hope of transcendence, and the knowledge that I might yet be disappointed. 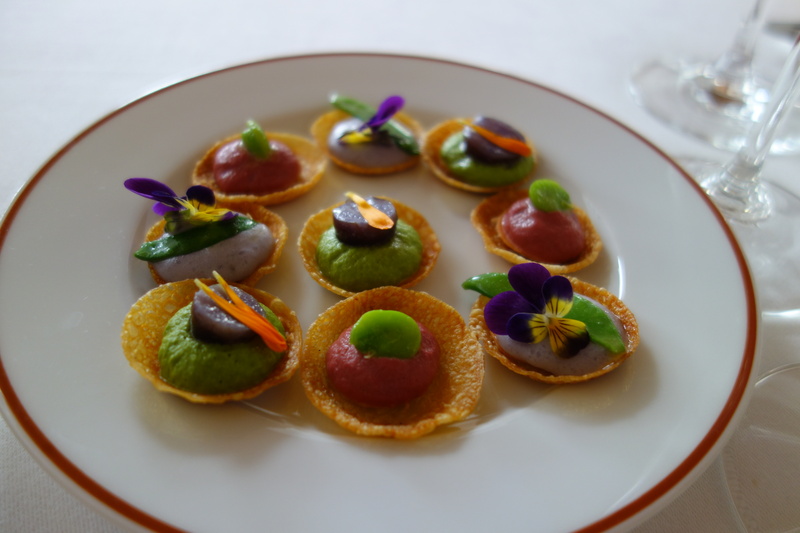 An amusing permutation carousel of vegetable tartlets: (A) Green pea puree topped with a piece of potato (B) purple potato puree with green pea on top (C) Beetroot puree with a green bean on top. 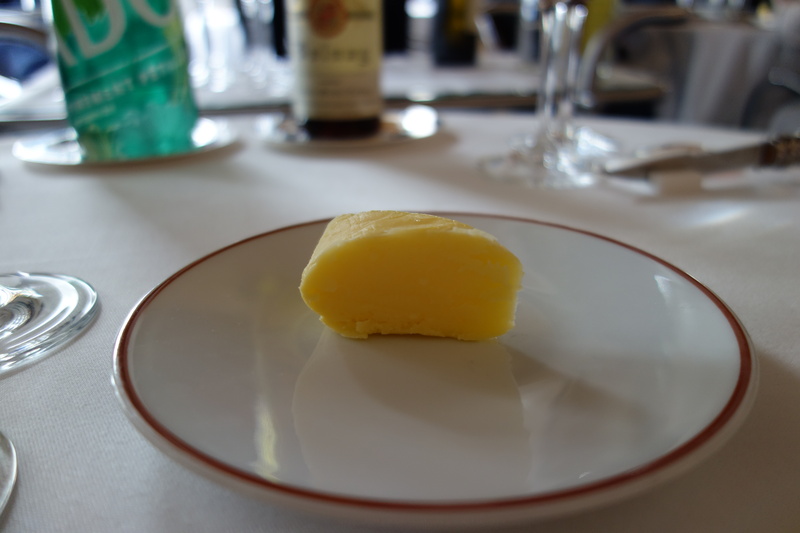 With Jean-Yves Bordier butter (5/5). Salty, real depth of flavor. 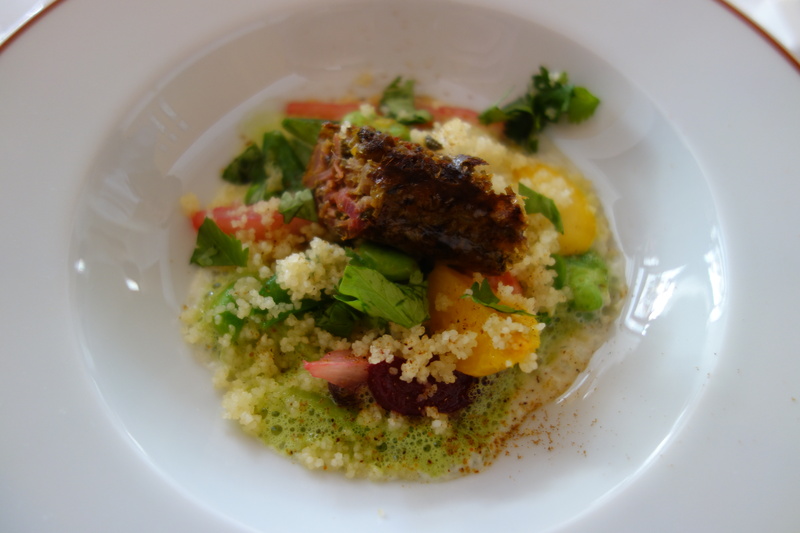 This version was better than the one I had two years ago, which then had wasabi overpowering the sweet beetroot. 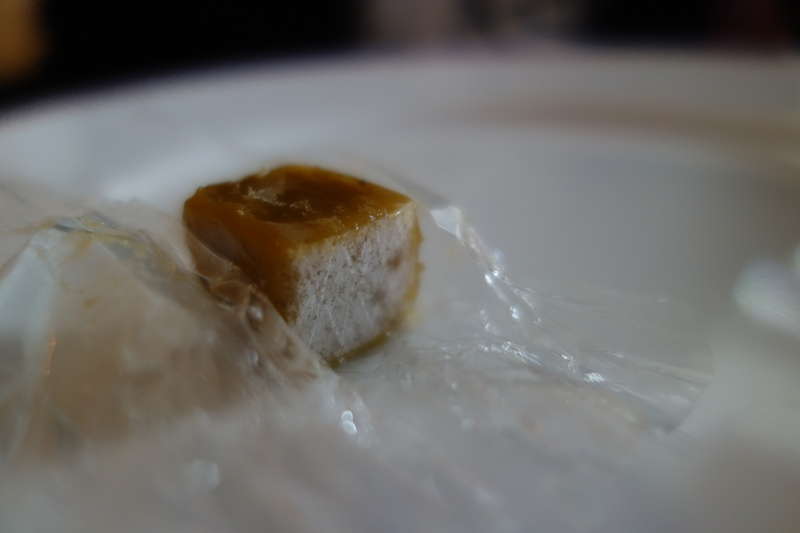 Here the wasabi had vanished, and was replaced by a pleasing geranium oil, which gave it a appetising floral fragrance to accompany to smooth sweetness of the beetroot. 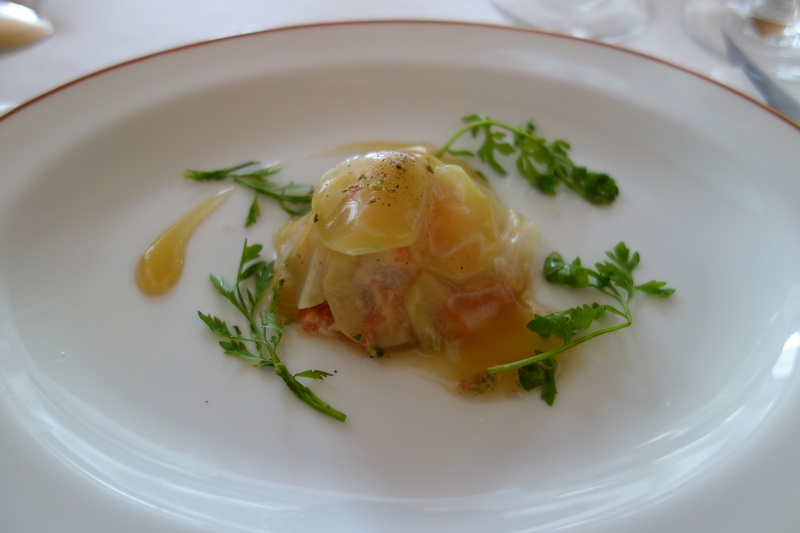 I had also tried it (the Arpege egg) at Manresa a couple of months earlier, in April 2014. 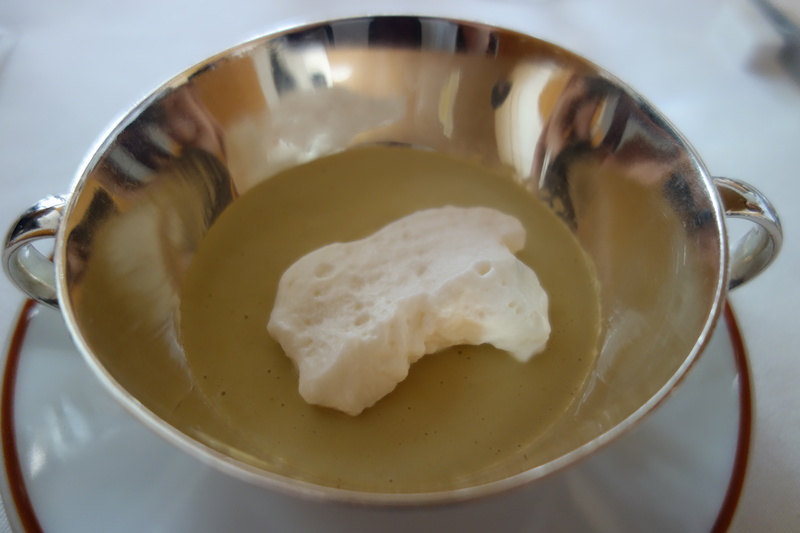 There it is lighter, the maple syrup goes padfooted on the sherry vinegar cream, (5-6 drops in the Manresa drizzle). 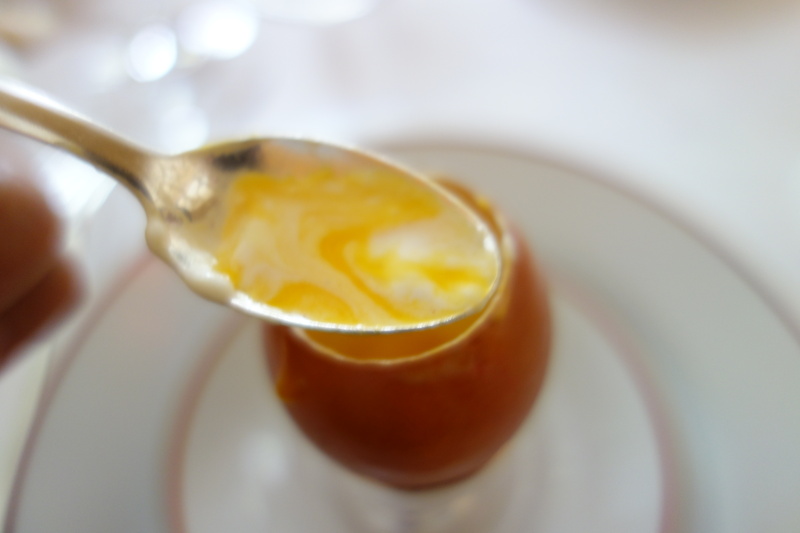 At L’Arpege, the maple syrup found its way into the poached egg yolk – which was sweetened. Perhaps the syrup was whipped straight into the egg yolk this time? As I mentioned on my Manresa write-up, I prefer to add more maple syrup to accentuate the sweet-sour contrast with cold sour sherry-vinegar cream. 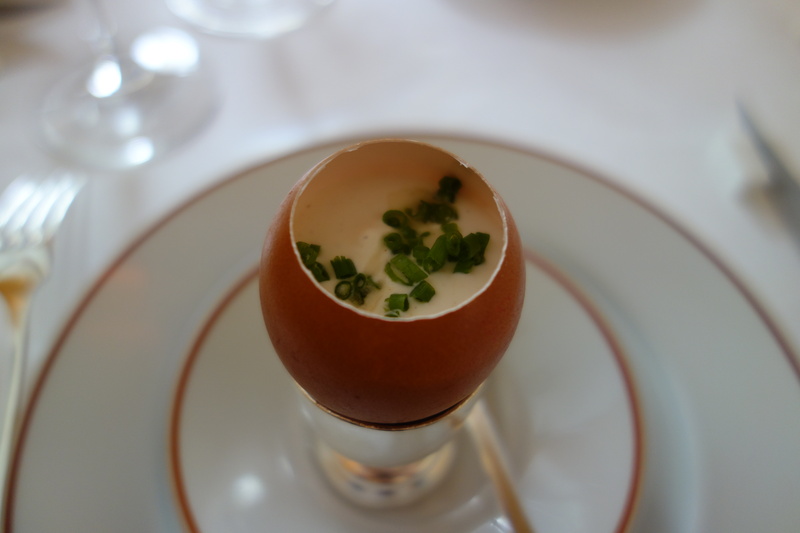 Here the contrast was sweet-warm (syrup-egg, somehow mixed) vs cold-sour (sherry vinegar cream), with chives, 4-spice, salt, as supporting cast. 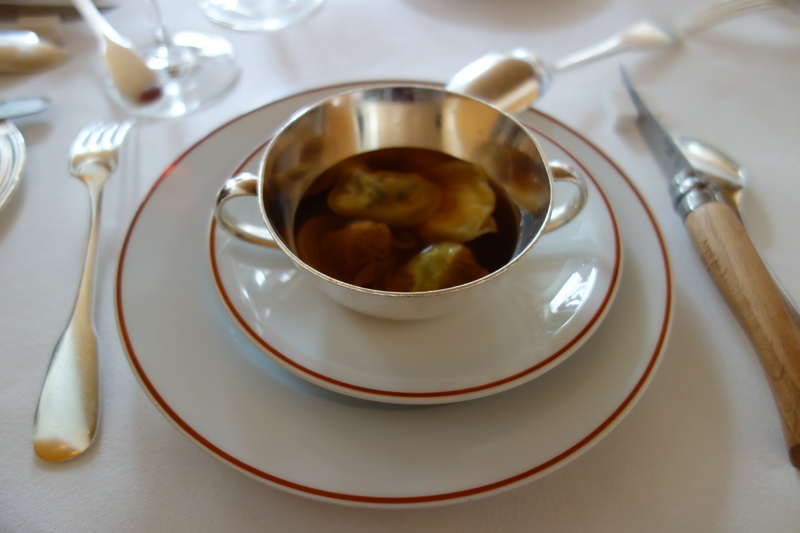 A stunning smoky, green bean consomme that tasted intensely of the bean itself, with 4 types of ravioli: carrot-rose, turnip-basil, asparagus-vervain (AKA asparagus-verbena), and pois-gourmand-ail (AKA pea-garlic). Each primary vegetable (carrot, turnip, asparagus, pea) was perfectly paired with the secondary herb (rose, basil, verbena, garlic). Spectacular. 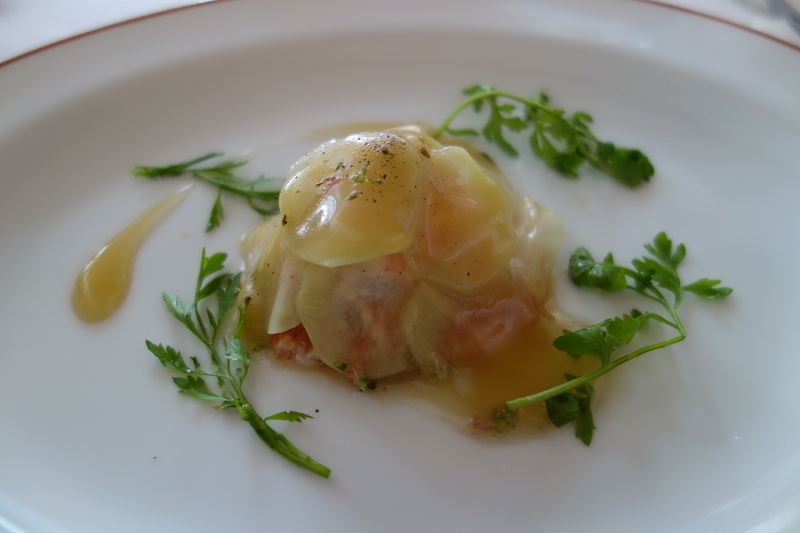 5 elements – consomme, and 4 raviolis of different pairings, yet a complete garden of flavors. To me, this is a dish one cannot tire of. Purple turnip, rhubarb, purple basil. Pairing ingredients with similar colour profiles, or chromatic cooking. Here the sour rhubarb offset the sweeter purple turnip. 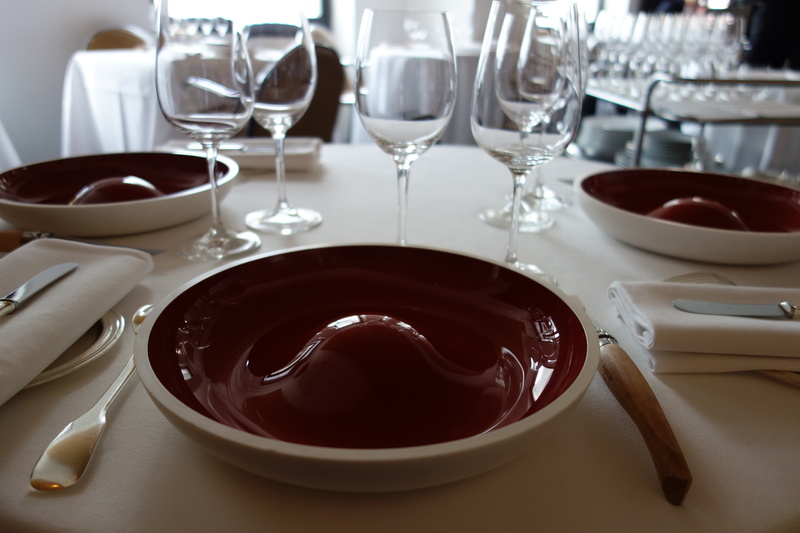 The surprise of the dish was an intense purple sauce, right at the very bottom of the bowl. Where had it appeared from? 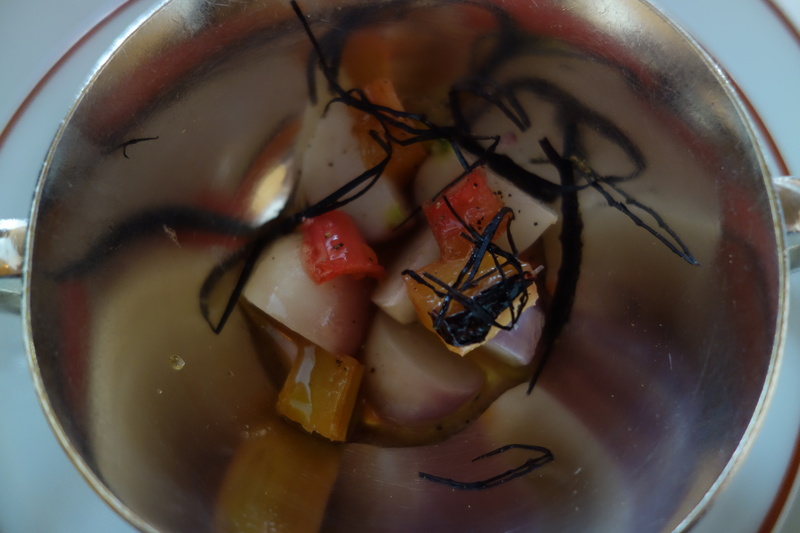 It was intensely sweet, like root-vegetable candy. The pairing with the last bite of rhubarb was sublime. 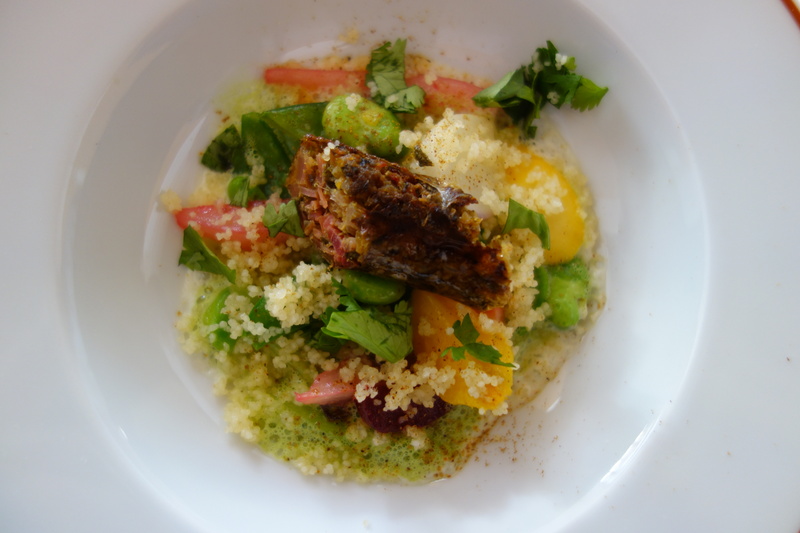 “Jus de legumes can mean a variety of things; at L’Arpege, it is light and sweet, and relies mainly on the wealth of vegetable juices left over from preparing various dishes. Here we must start from scratch. To make 2 1/2 cups of jus, enough for both recipes: In a 4-quart saucepan put 10 cups of roughly chopped vegetables (carrots, celery, onions, black radishes, turnips, leeks, rutabaga, and in the winter, celery root). Cover with cold water, about 6 cups. Add 2 tablespoons of salted butter. Bring to a simmer, partially cover, and cook for 40 minutes. 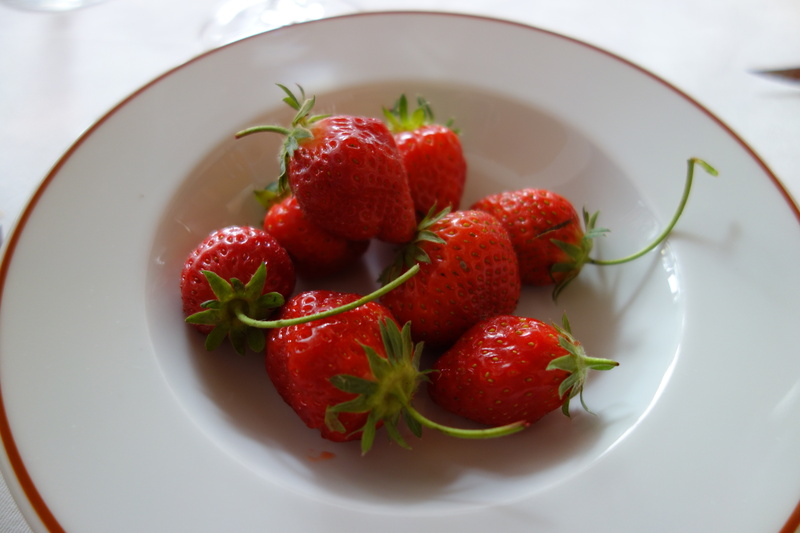 Strain the liquid and reduce it by about half to 2 1/2 cups. Taste it and smile. Add any pan juices left over from cooking the red onion and the celery root”. 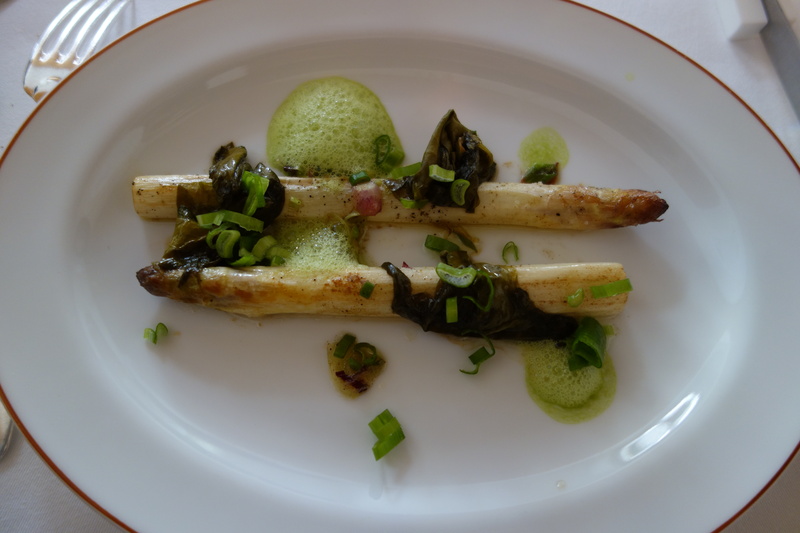 Roasted white asparagus, sorrel, and bay leaf oil. Juicy white stalks, really top class white asparagus. I however did not find the accompaniments of bay leaf oil and sorrel to add much aroma to this dish, and there was a pickled leaf (bay leaf? seaweed?) the slight sourness of which was out of place in the dish. 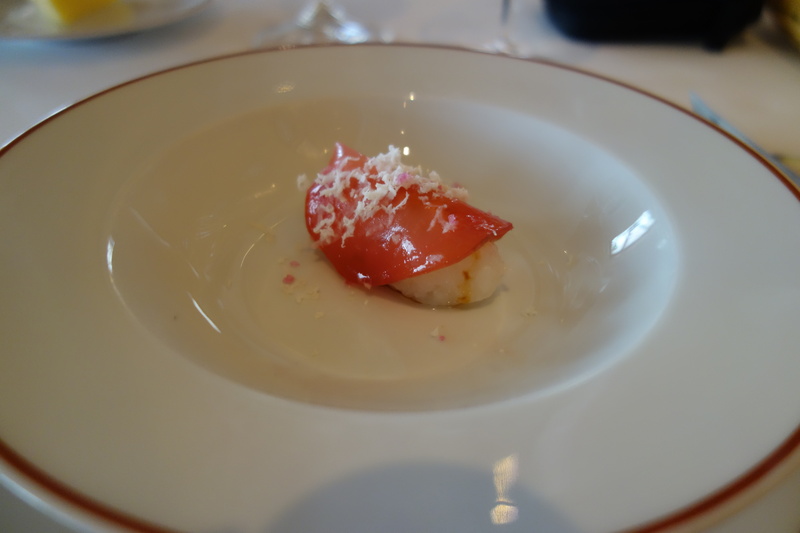 a €200 dish (this was the one completely changed dish from the €140 lunch tasting menu). So how was it? The sweet and sour sauce was truly superb, tasting complex. 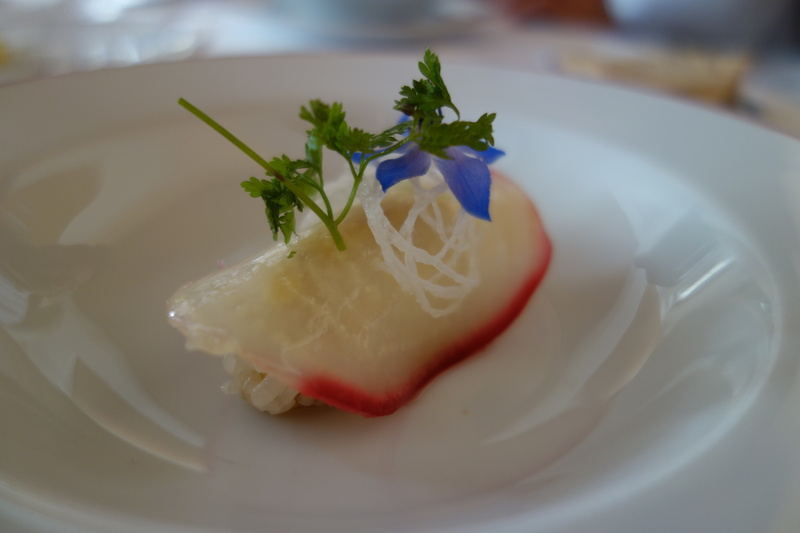 But I was not taken with the cold chunks of lobster, underneath the tender slices of turnip. 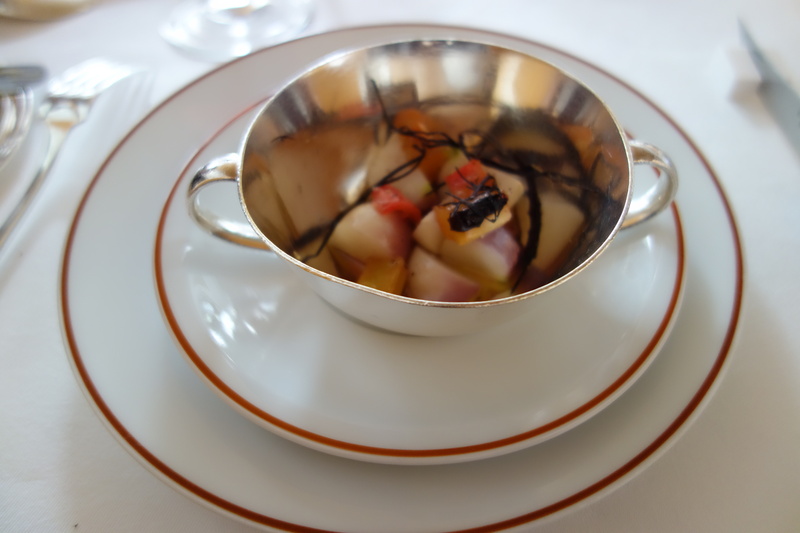 It resembled a cold preparation of sweet-and-sour seafood salad from a Chinese banquet, and I failed to detect the quality differential in the Breton lobster that would elevate this dish. 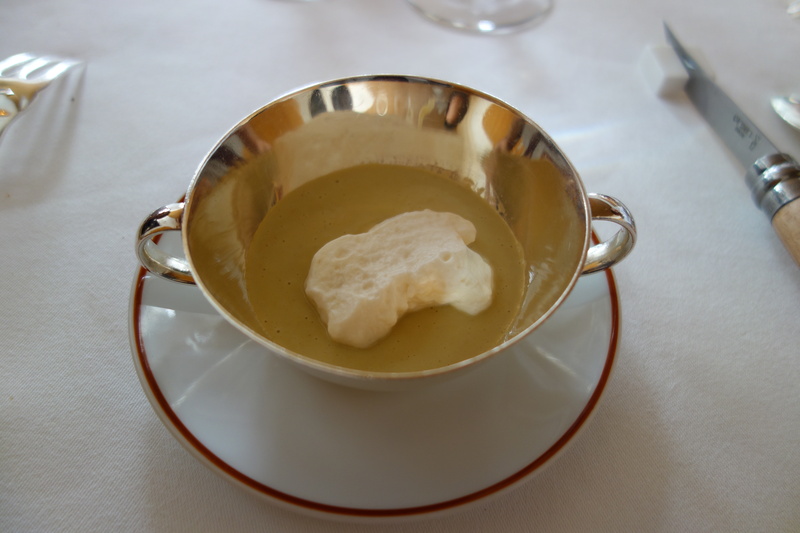 Veloute good in sweetness, offset by smoked ham cream. 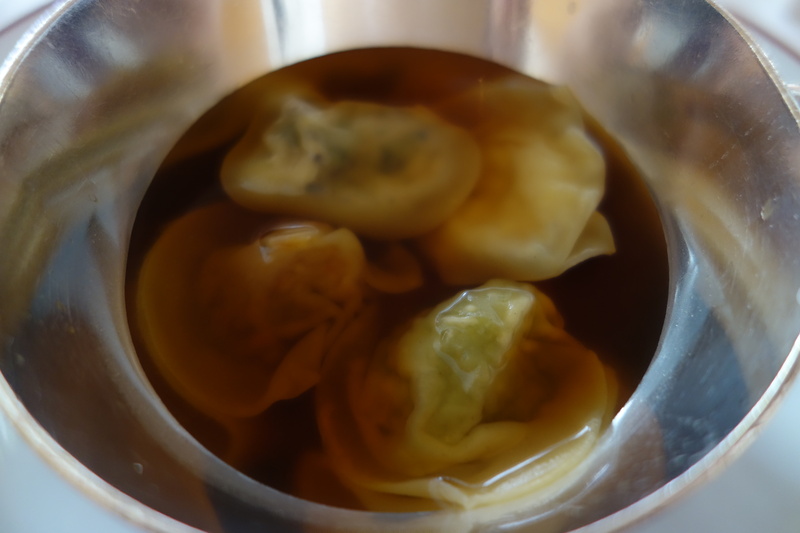 Tastes of soy sauce, without further perceptible modification, which was an Asian touch that seemed perfunctory. Solid, though not mindblowing. 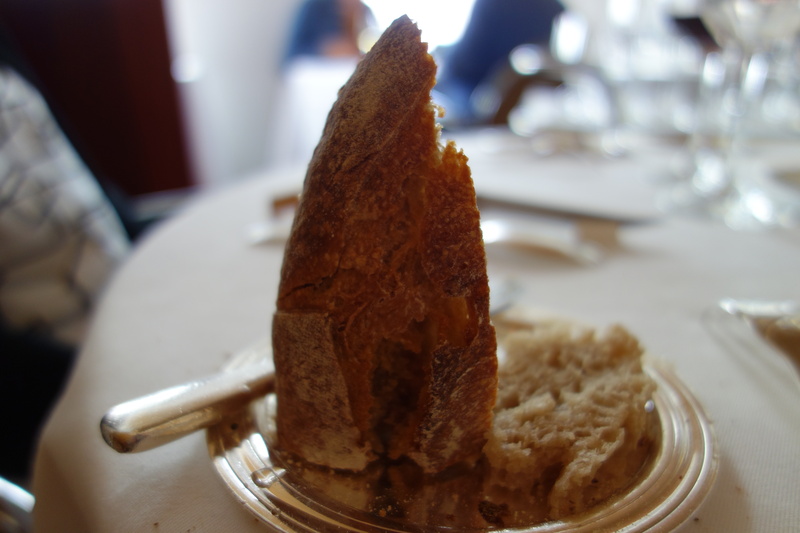 I really like crusty ends, and thanks to maitre d’ Hélène Cousin for noticing that. 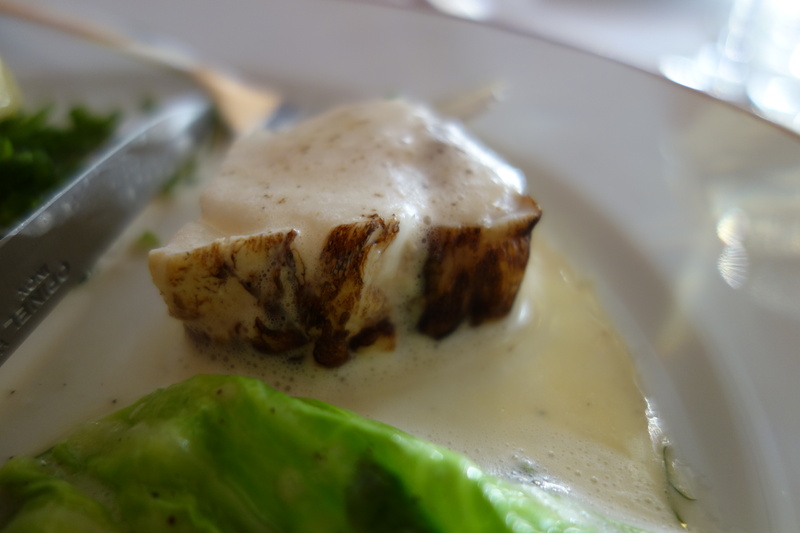 grilled monkfish from Brittany, which was a classic. 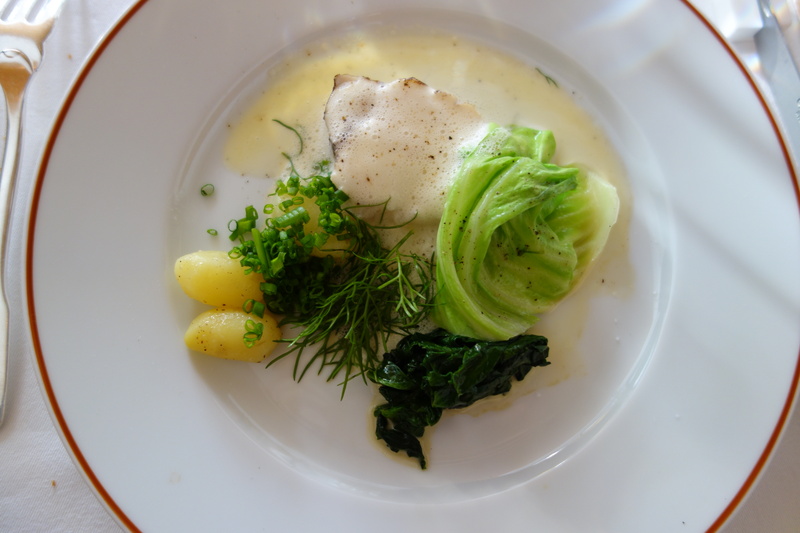 New potatoes, which had a nice sweetness, along with springy monkfish, cabbage, spinach, and a vin jaune sauce. Very classic, and executed beautifully. 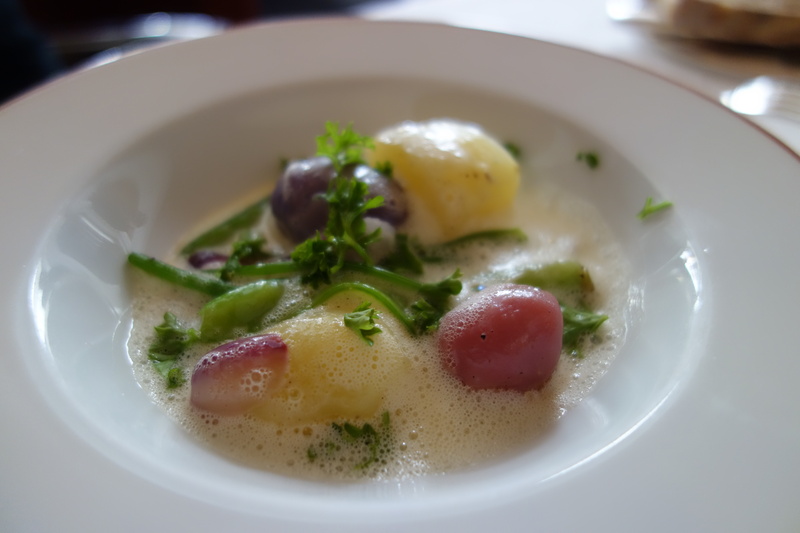 I was served almost the same dish at my last meal here, and there the winter vegetables, bursting with sugar, sung with a true harmony of flavors. Here the vegetable sausage was a bit rougher and drier than I remembered. The vegetables seemed a bit less flavorful. To be honest, if I wasn’t served a sublime version two years ago, I wouldn’t have known what the fuss about this dish was all about. I think my personal joy of a L’Arpege meal is just being able to take in the sweetness and unreal quality of the produce from Passard’s farms. A real sweetness in the carrots, and peas- peas that are perhaps less juicy that those at Manresa in California or Etxebarri in Basque country, but so giving to the bite, and the two halves sliding off each other so easily. Very tender, excellent produce. Good. Passard likes to cook his chicken more than other chefs, and this was a bit tougher than I would like. But it was more tender than the winter version. 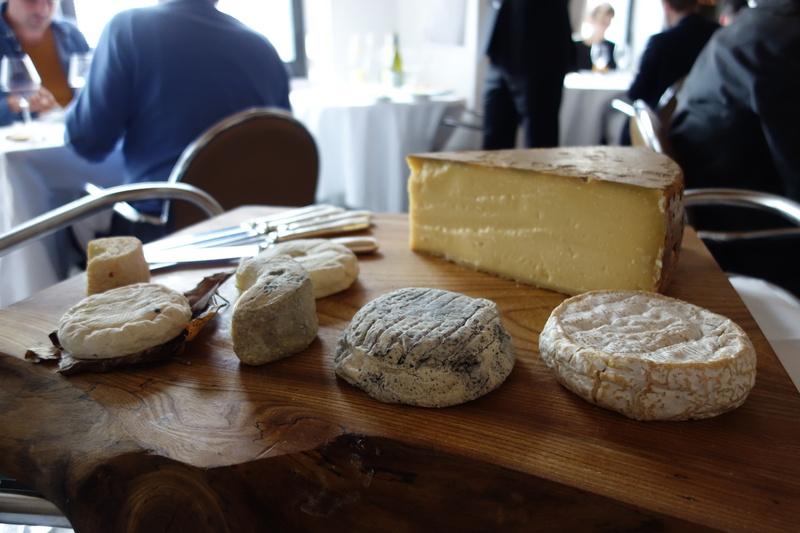 The cheese cart: Bernard Antony 48 month Comte (5/5), Camembert from Normandy, Banon cheese from Provence, dry goat cheese from Savoy, Bonde en Gratin. 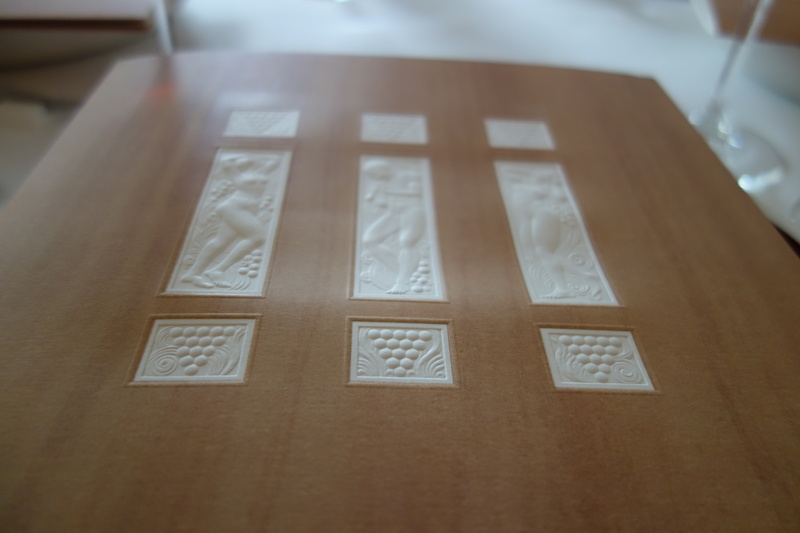 What is there about the Bernard Antony Comte that hasn’t been said? Nothing. 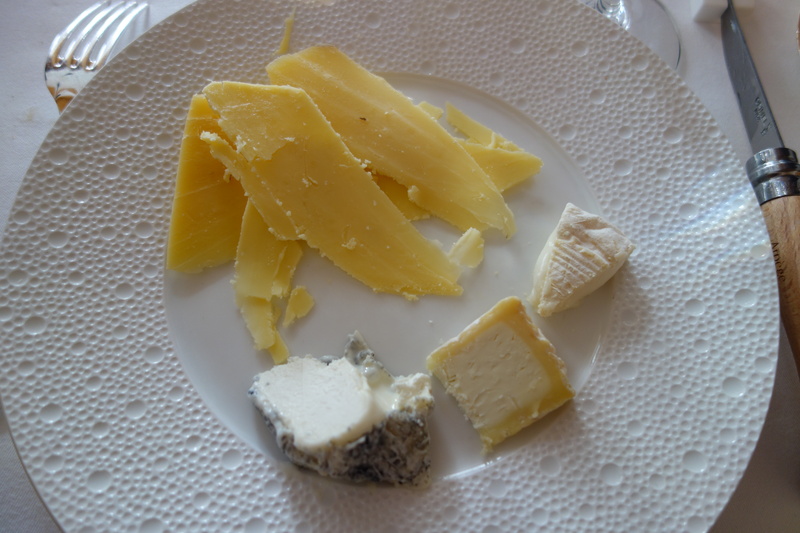 But I’ll say it again: a dry, nutty, textured shavings of a scarcely-sandy, sweet, cheese. Every bite reveals a food complete in itself. May it repose, self-satisfied. Masterpiece (5/5). 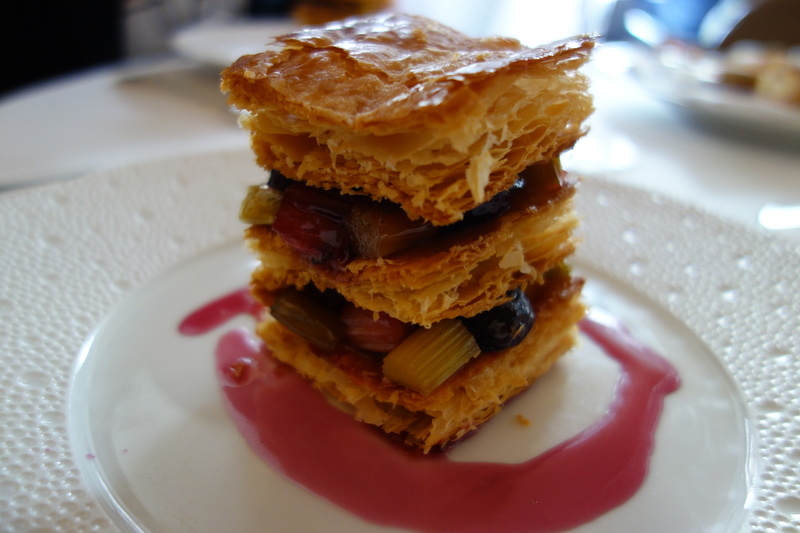 Thank the Gods Passard among the top Paris chefs still prepares his millefeuille (I could not find it on the menu at L’Ambroisie or Ledoyen). It is perfect. 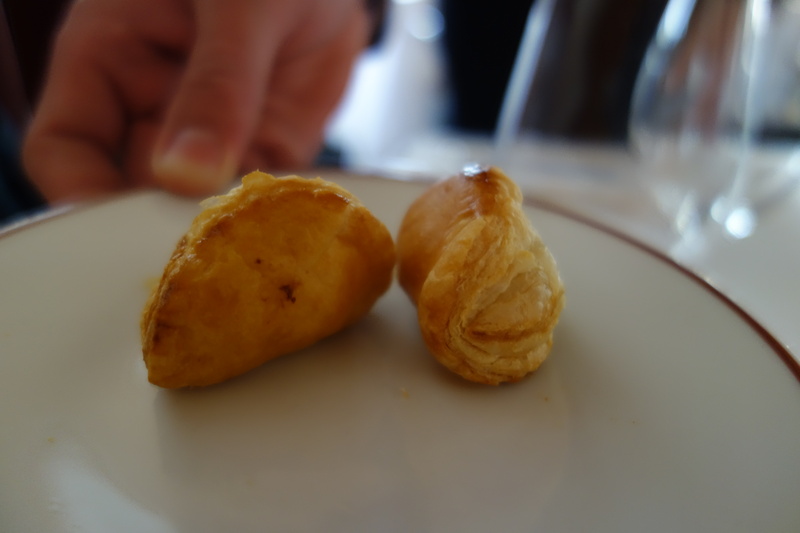 The flaky pastry cuts beautifully, and with an audible crunch. 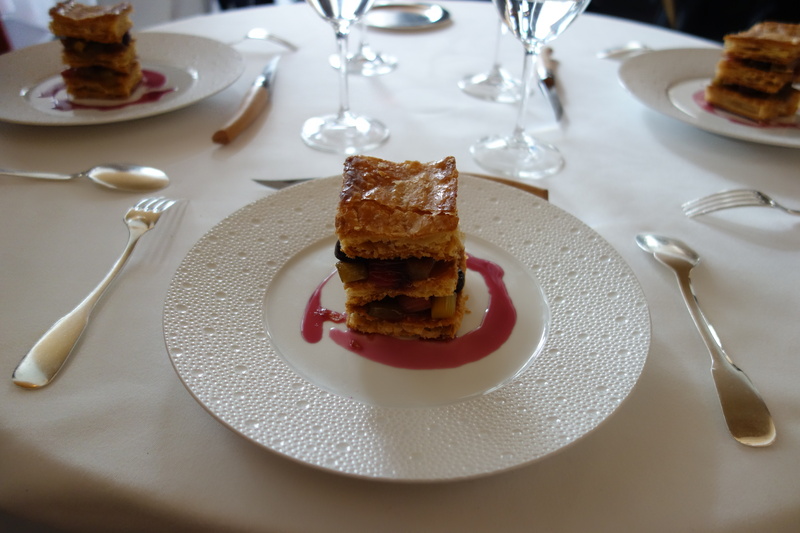 Rhubarb millefeuille with sour cherries, and then paired off with an intensely floral rose ice cream, which brought to mind the intensely floral geranium oil in the beetroot sushi that our meal started off with. Angelique (sinensis? danggui?) 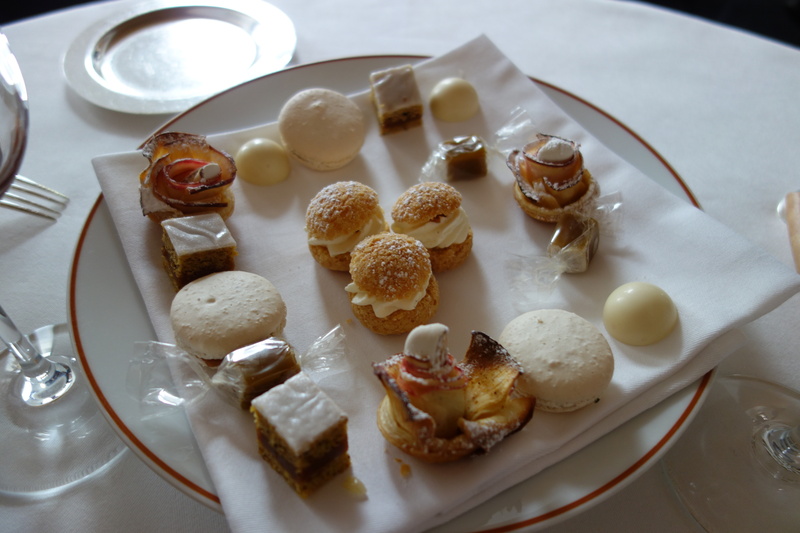 caramel was very interesting – the bitter herbal taste going well with the sweet stickiness of caramel; choux, sweet, macaron, and the mini bouquet of roses tart. On caviar quality: “Caviar osciètre royal d’Iran (nouvelle pêche). 4. Boredom – the egg, both lobster preparation, a couple of variations on the caviar theme (sometimes it’s with avocado), a very large whole roasted bass, when available, even a slightly modified version of the scallop dish (I think the cabbage was only present in the lobster with yellow wine before) have been on the menu for many years. If you look at the cuisine of the 1990 [sic] and the current cuisine, you’ll see just how much of the supposed change is purely marketing and cost cutting. 5. 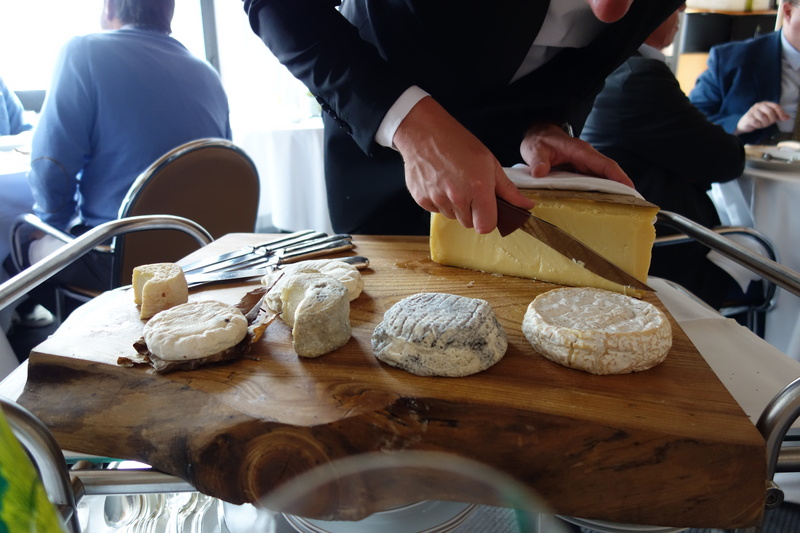 Cheese service – used to be exceptional, has become miserable, but this isn’t unique to Arpege. Alan Passard is one of my culinary idols. 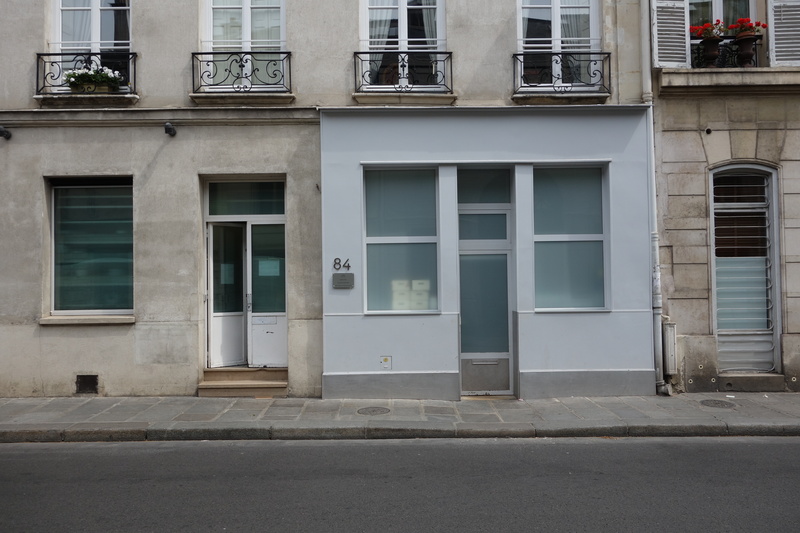 Have you visited Pascal Barbot’s L’ Astrance? Not yet! That’s top of my list for new restaurants when I’m back in Paris… though I’ve heard Astrance is inconsistent. How was your experience there? 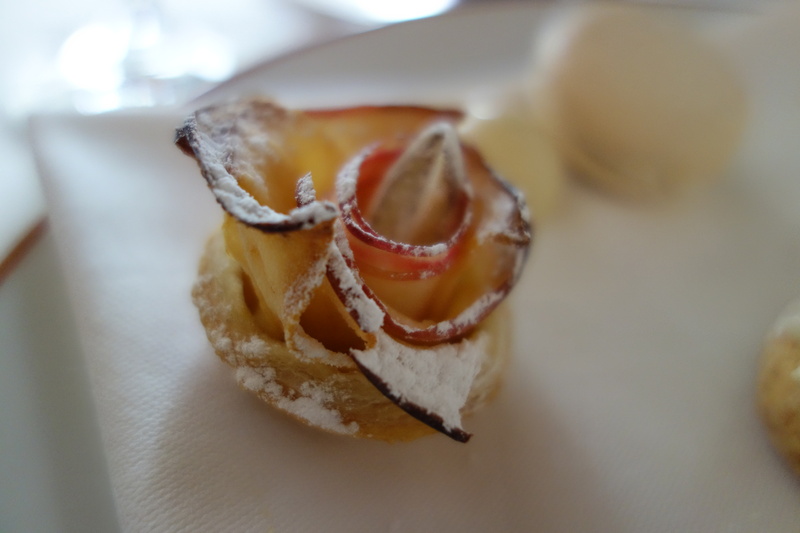 Repetitive dishes – I think it’s been one main ‘problem’ at L’Arpege unless you come at the right time/season where the garden brought many ingredients we’ve never eaten before. One way to solve it was to go a la carte and share the dish(es) with another person. 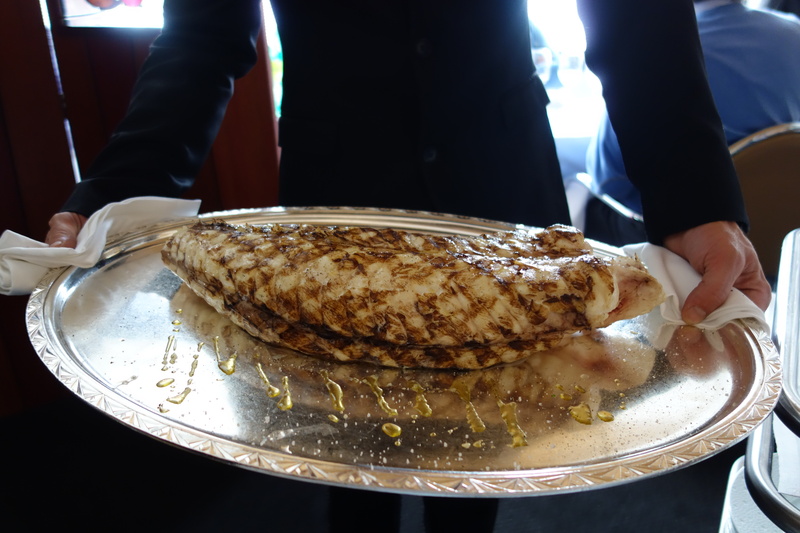 While the vegetable dishes were often amazing, I actually love Passard’s seafood/fish and meat. 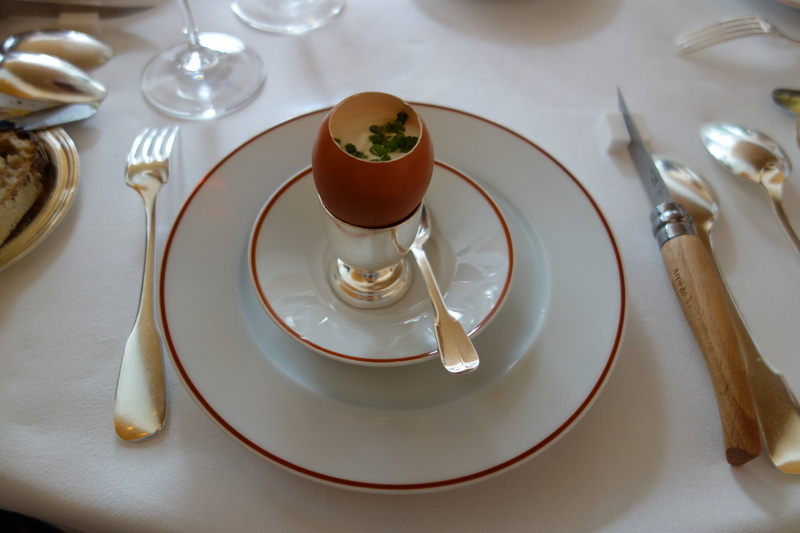 My best meal here was happened to be when the kitchen still cooked smth with caviar (about a decade ago). Anyway, an excellent write up! Thanks Andi! I enjoyed your own write-ups on L’Arpege. My intuition would be that summer would be that season – when do you think is the best time to go to L’Arpege, or is it a lottery? One dish I’ve heard a lot about is the pigeon with dragees, which I’m requesting for a special order my next time around. 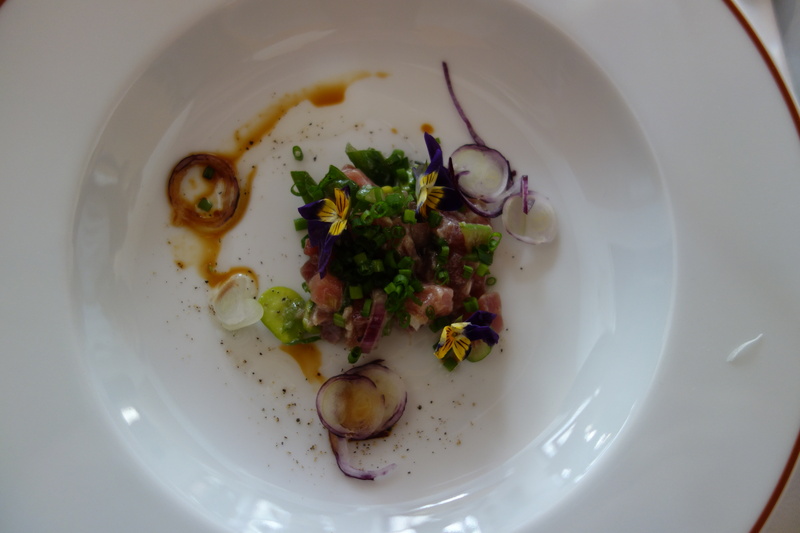 Out of curiosity, how much does Passard change his menu whenever you visit?